Learn German While You Sleep - Does it WORK? Learn German While You Sleep – Does it WORK? Learn German while you sleep? I write about language. And from time to time, I get some interesting e-mails. All I read. Some I reply to. And some deserve a post as as a response. Simply because it’s not the first time such a question is asked. So…. Can you learn German while you sleep? Does this work? It sounds awesome, right? All you have to do is turn some audio lesson on. Then you go to sleep. Easy! And then German words and phrases are drilled into your head. Fast answer: It does not. There ARE better and faster ways to learn German. How? Scroll down to “Active Learning” or if you want to learn… check out GermanPod101 – one of my favorite learning programs. Why does it not work? Doesn’t the brain react to stimulation while we’re asleep? It does. That’s how alarm clocks wake us up. But when it comes to new stimulation like me teaching you a brand new German word, it fails miserably. #1. Easy answer. I can teach you a German word right now. While you’re awake. You will definitely forget it. Learners forget most new words that they learn. In fact, you tell me why you don’t remember 95% of what you learned in your History Class. (Hint: You heard it once. You didn’t use it.) So, how do you expect to learn in your sleep? At a time, when your body recovers and your subconscious cleans up your mess. #2. Passive learning doesn’t work with new information. You can put on a German audio lesson that contains words you don’t know, let it play in the background as you go about your life. And you won’t learn anything. Your brain has no prior knowledge of it. It’ll pass off as gibberish until you sit down and actively pick words apart. #3. You’re not saying the word. You’re not writing it down. So, how could you expect that “hearing” words alone while you sleep will teach you a language. To learn a language, you must speak (make mistakes) the language and put it to use. You must listen. Repeat. Write it down. …Can you do that in your sleep? Active Learning is the Way to Go to Learn German. Meaning, you must be awake. 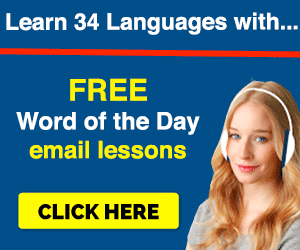 Any company claiming that you will learn German while you asleep, is trying to sell you a fantasy. If you’re going to buy it, at least learn while you’re awake! Active learning is the way to go. Why? It’s the best way to introduce new information to your brain. Since you’re awake, you’ll make connections to what you already know – to make sense of new information. That’s how you actually learn. Multi-tasking doesn’t work… well. At least for anyone that wants to speak great German. The best way to improve is to speak with a native speaker… Can’t do that asleep. So, what can you do? Don’t try to learn while you sleep. Or at least spend money on things that promise this. To truly learn German, you should get a tutor, a textbook or try out an online German learning program. If you’re a fan of Audio & Video Lessons that teach you to speak German – I suggest GermanPod101.com. It’s a great learning program with new lessons all the time – that you can take on your smartphone or learn at home. 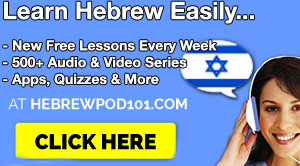 You learn how to speak and understand real German with bite-sized, radio style lessons. 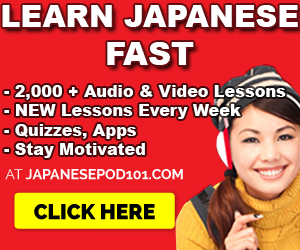 I highly recommend it for Beginners and Intermediate learners. Anyway, have you tried any “learn in your sleep” programs? P.S. Highly recommended for learners. 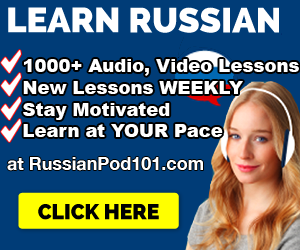 If you REALLY want to learn German with effective lessons by real teachers – Sign up for free at GermanPod101 (click here) and start learning!